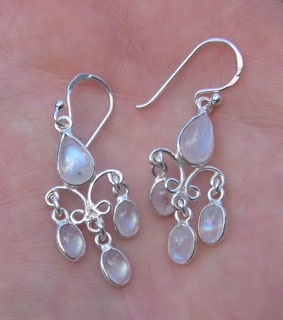 (1 set only) High grade stones, tear-drop cut in unusual spear-like silver setting. Length without hook 3.3cm. 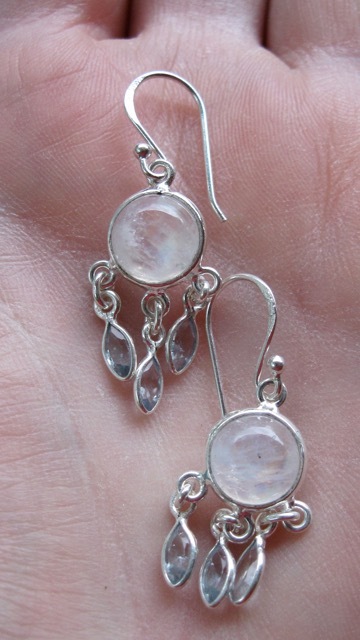 (1 set only) Beautiful clear stones. 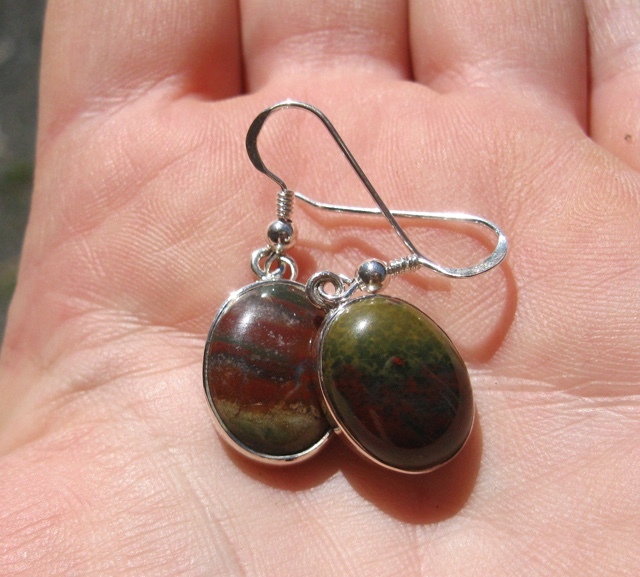 I’ve never seen this in jewellery before. 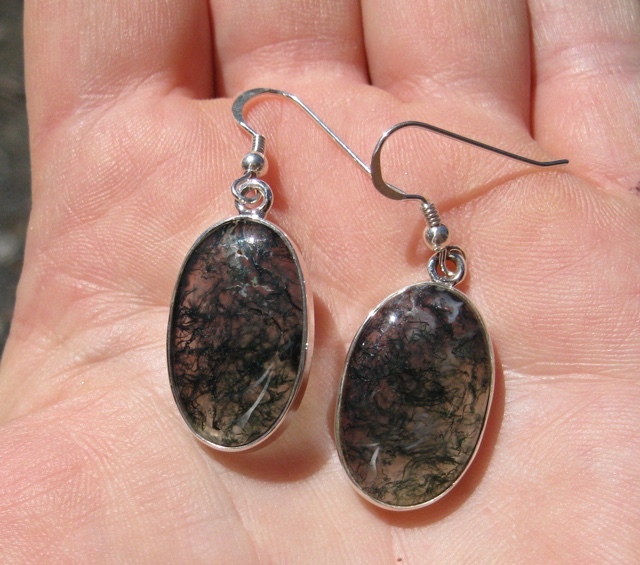 Sterling silver setting. 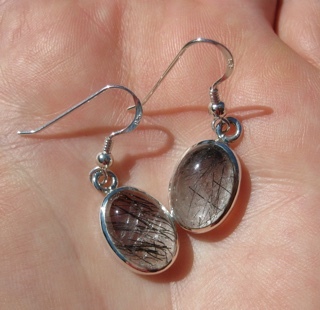 Crystal length 2.3cm. 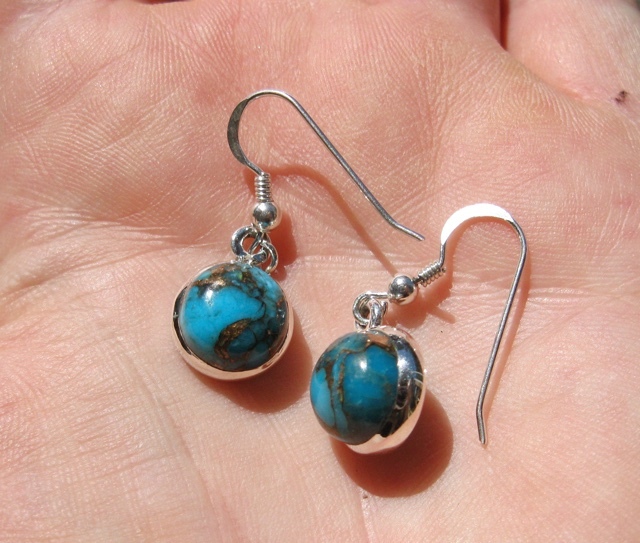 (1 set only) Round cabachons in sterling silver setting. 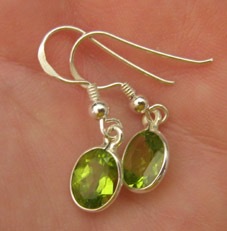 Crystal size 1cm diameter. 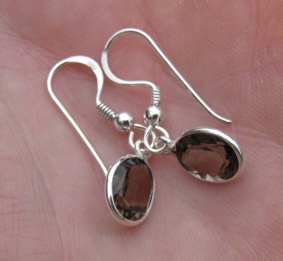 (1 set only) Cabachon cut stones in sterling silver. Length without hook 2.5cm. 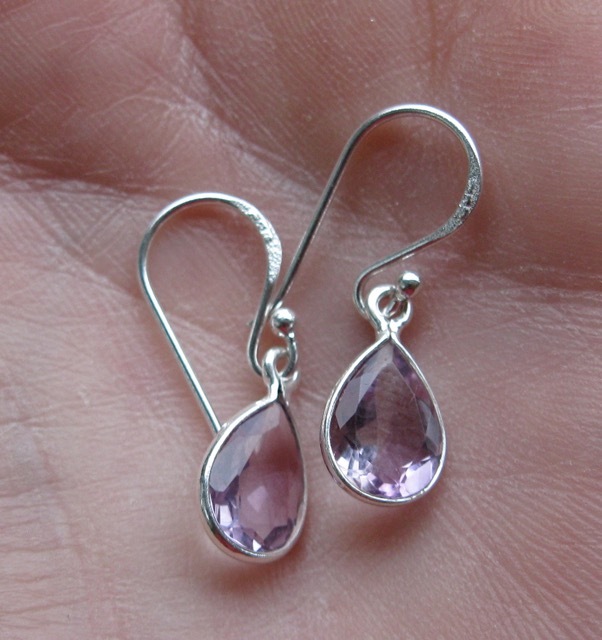 (1 set only) Tear-shaped sterling silver setting with three crystals in each. Length without hook 2.3cm. (1 set only) Square cabachons. 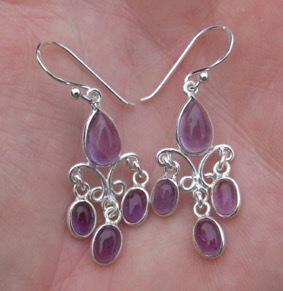 Sterling silver setting. 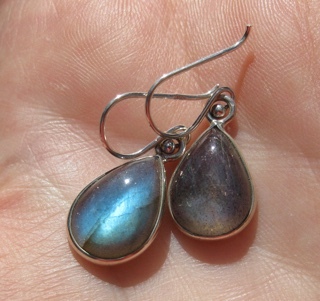 Crystal length 1.3cm. 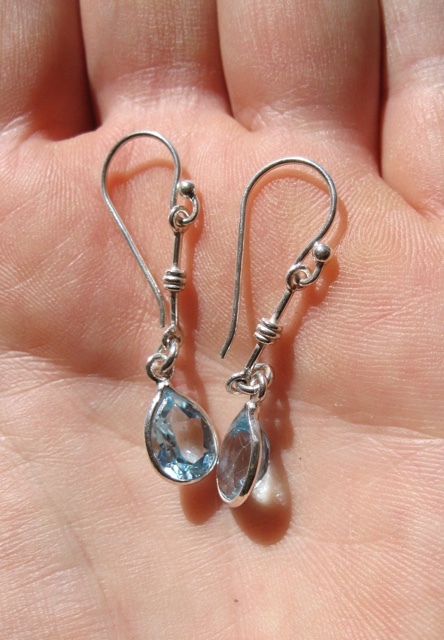 (1 set only) Beautiful clear blue topaz in sterling silver. Crystal length 1cm. 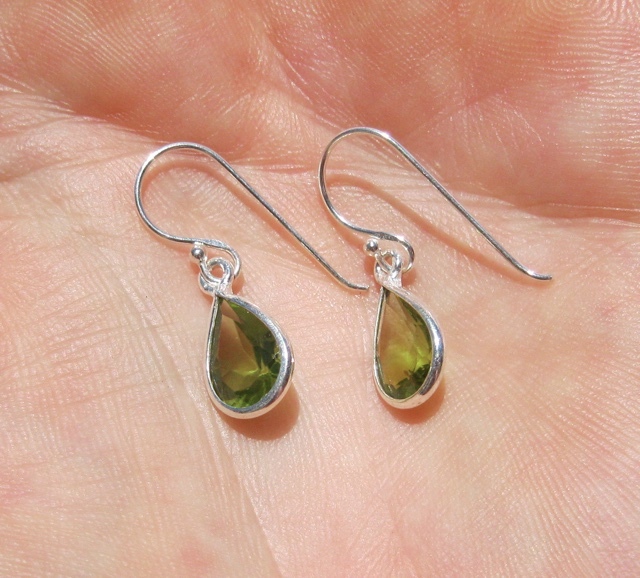 (1 set only) Cabachon cut in sterling silver. 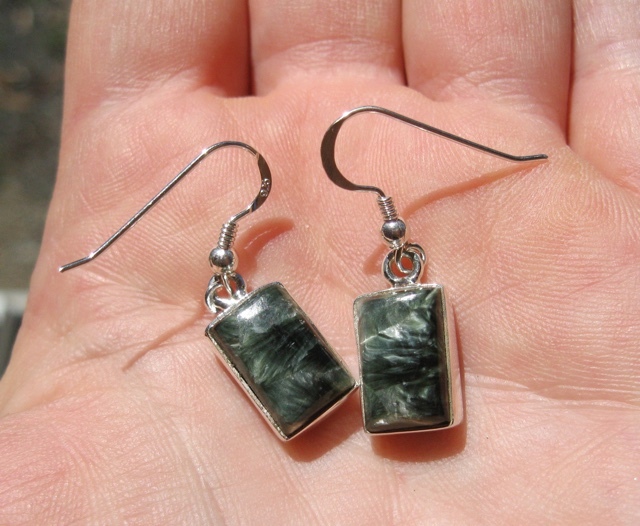 Crystal length 1.5cm. 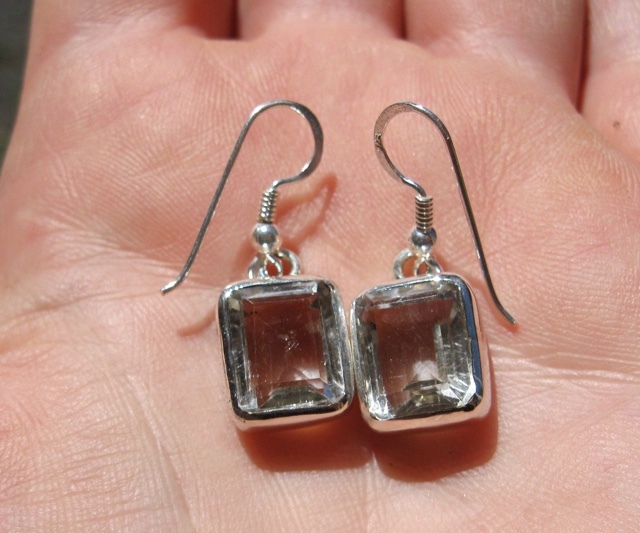 (1 set only) Chunky facetted very clear quartz in sterling silver. Crystal length 1cm. (1 set only) Also known as ‘angel hair’. 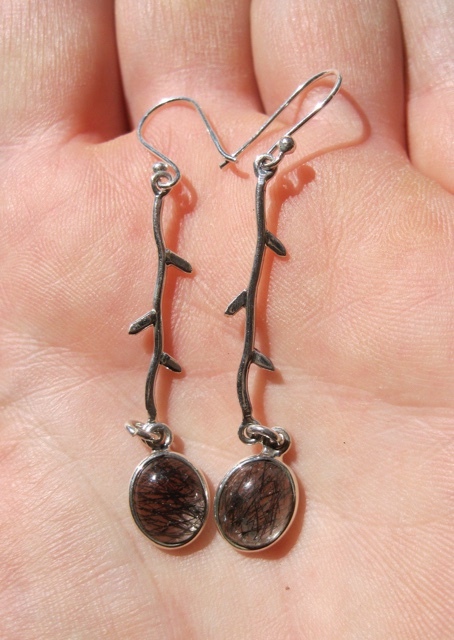 Very fine stones cut as rounded cabachons in sterling silver branch setting. Crystal length 1cm. 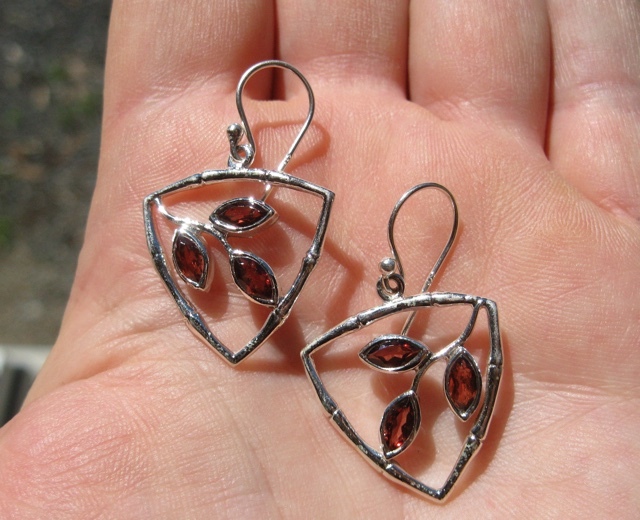 (1 set only) Unusual branch setting in sterling silver with three facetted garnets in each. Size without hook 2.3cm long. 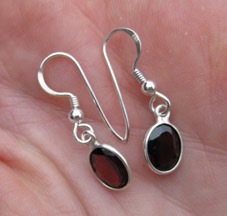 Polished cabachons in sterling silver setting. Size without hook 1.5cm long. Sterling silver fittings. Length without hook 1cm. 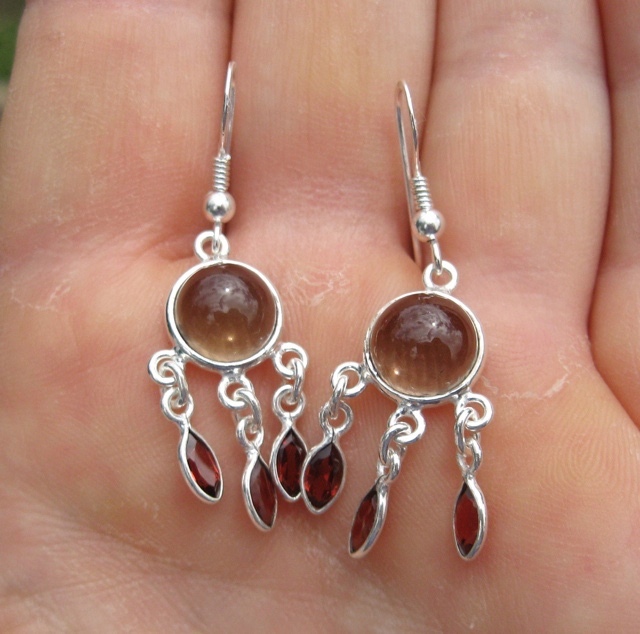 Main cabachon smokey quartz crystal plus three marquise cut garnet crystals on the end of each earring. 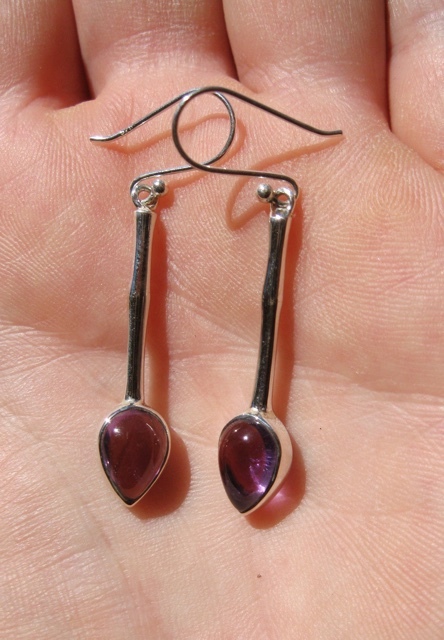 Sterling silver fittings. Length without hook 2.3cm. 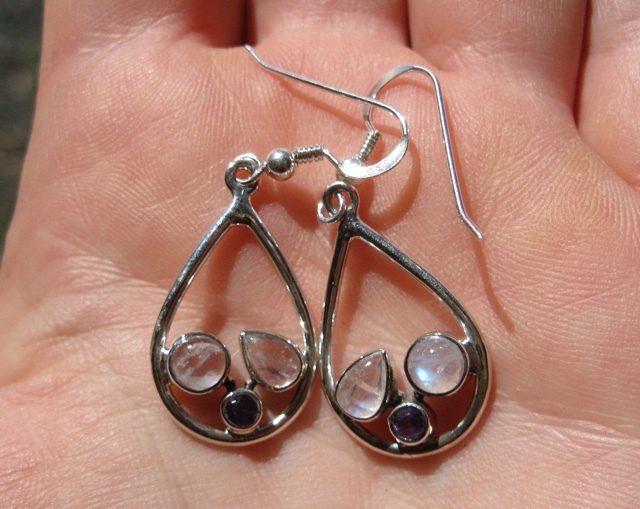 Stirling silver earrings featuring one tear-shaped crystal and three oval cabachons. Length without hook 3cm. 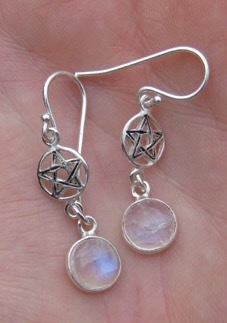 Three different crystals in three different cuts on each earring - moonstone, topaz, rose quartz . Sterling silver fittings. 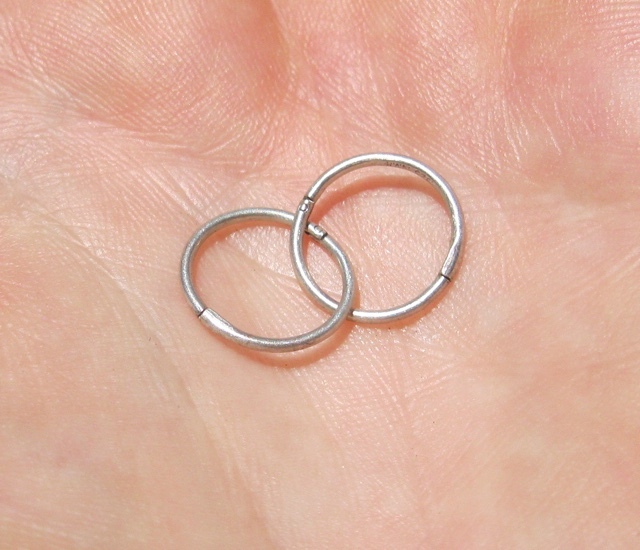 Length without hook 3.5cm. 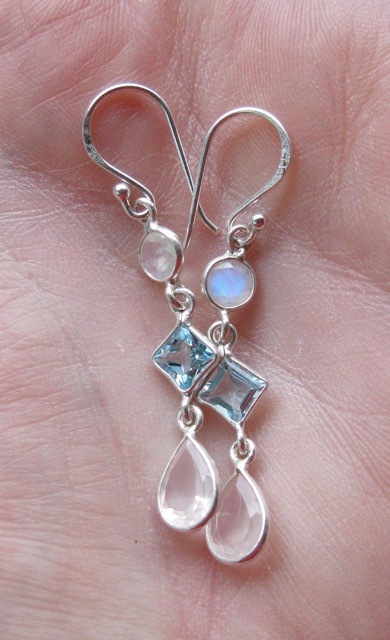 Main cabachon moonstone crystal plus three marquise cut topaz crystals on the end of each earring. Sterling silver fittings. Length without hook 2.3cm. 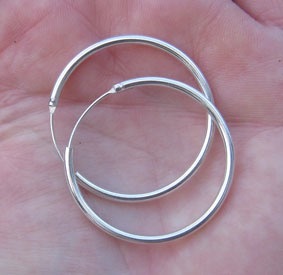 Stirling silver hoops, 3.4cm diameter. Stirling silver sleepers. 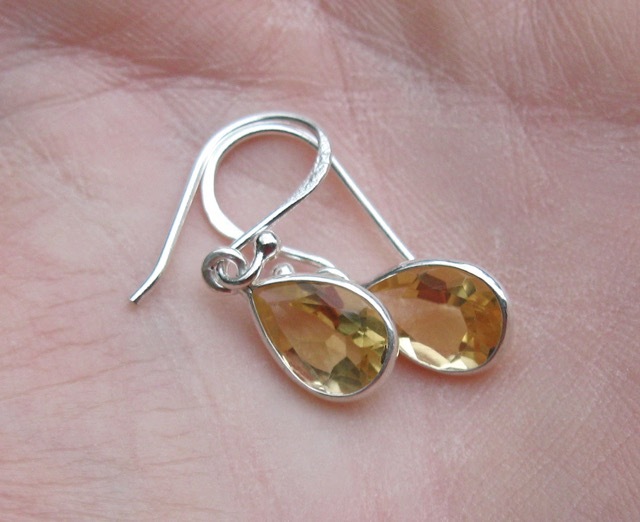 Use plain or hang your favourite crystal. 12mm diameter. 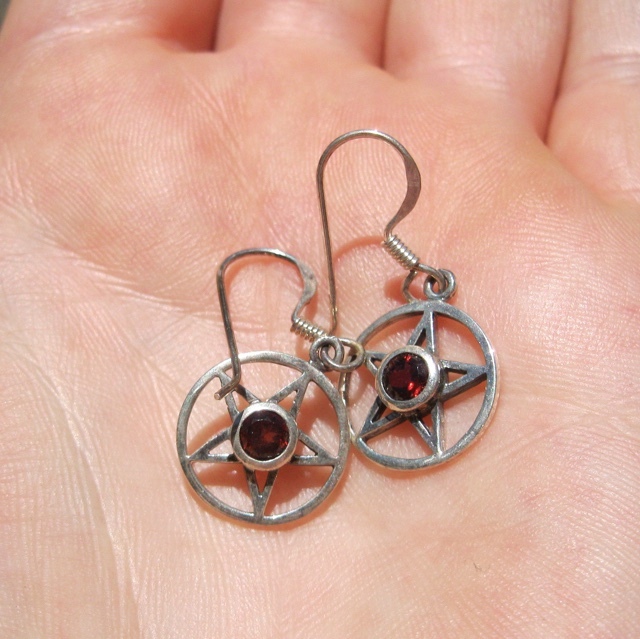 Stirling silver pentagram with rounded crystal. Length without hook 2.5cm. 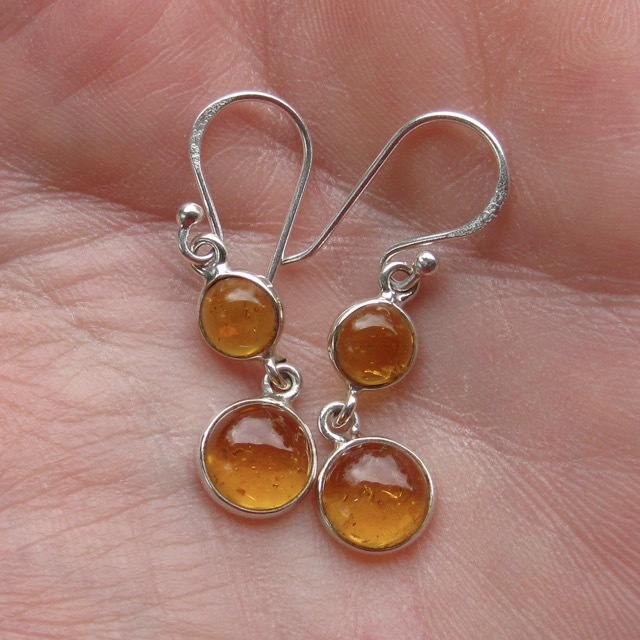 Two different sized polished amber cabachons on each earring. Sterling silver fittings. Length without hook 2cm.